An apple a day keeps the doctor away. Or so they say anyways. I keep a supply of apples in my fridge because I eat one almost every day. My faves are Red Delicious. I was curious to see what apples would taste like in a smoothie. I had some unsweetened applesauce leftover from a recipe I made in the summer and decided to throw a few ingredients in the blender and see what I came up with. The verdict? 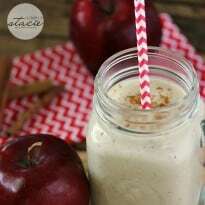 A yummy fall smoothie otherwise known as an Apple Spice Smoothie. It’s dairy free because I used some vanilla soy milk. I like the flavour it adds to my smoothies. I also used unsweetened apple sauce, but if you only have the sweetened kind, it will work too. I also added in some vanilla extract and some cinnamon. The secret ingredient is the oats! Did you know that you can use oats to thicken up your smoothies? It adds a little bit of texture to your drink too. Bananas are great to make your smoothie nice and creamy. Avocado would also work too. I’m curious to try cut up apples in my blender, but I’m not sure how well it would work. My blender isn’t a Vitamix which I’m sure can take on an apple, no questions asked! Until I can get my hands on a Vitamix (they are pricey! ), I’ll make do with apple sauce. It’s still delicious and healthy! For more smoothie recipes, try my Pineapple Pomegranate Smoothie, Berry Jam Smoothie and Pumpkin Pie Smoothie. I also have several apple recipes like Maple Apple Pudding, Apple Cheddar Quick Bread, Caramel Apple Dump Cake and Baked Apple Baklava. 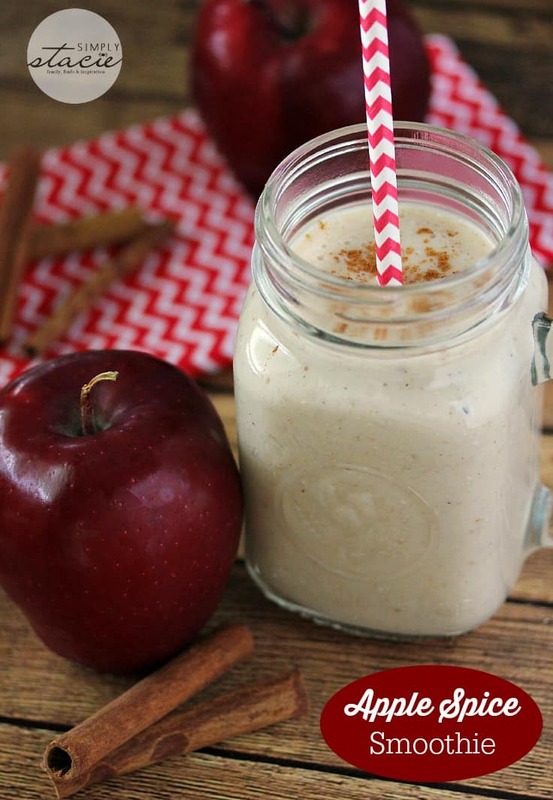 Do you ever use apples in your smoothies? 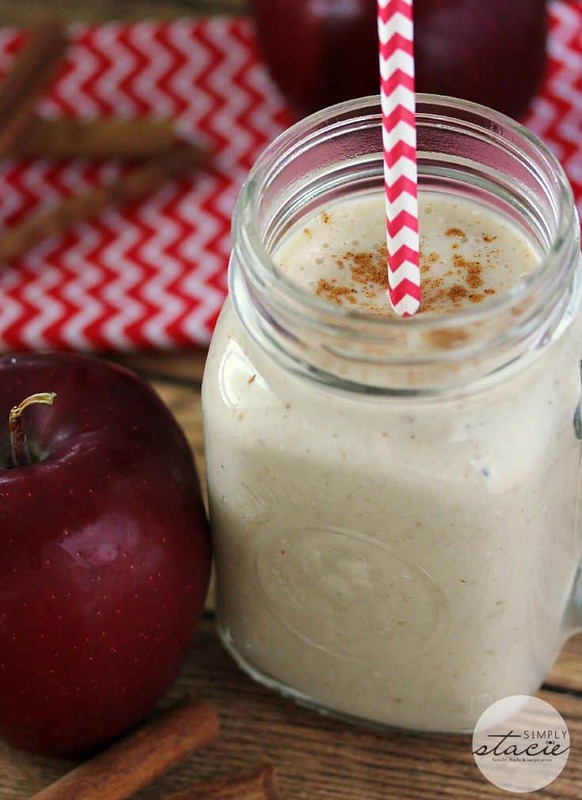 Enjoy this delicious Apple Spice Smoothie, perfect for Fall! Add all ingredients into a blender and blend until smooth. Sprinkle cinnamon on top before serving, if desired.